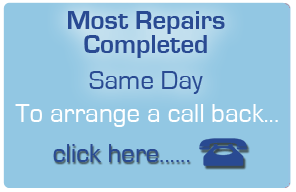 We provide quality appliance repairs on all major home brands throughout the York and Leeds area and we take great pride in been able to prove a same day repair service. We strive to provide an efficient and honest service to our customers and we will always provide you with a quality service and maintain peace of mind for you. When you call us we will always try and work around your schedule, we can support you in your hour of need. 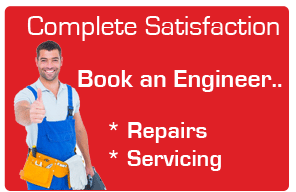 What Ever Your Appliance Issue is, We Can Help! Dishwasher not emptying, Washing Machine not Spinning? It can be really stressful when an appliance stops working and that’s why our highly qualified engineers are available to support you. Our team of expert engineers are trained to fix a wide selection of appliances – from ovens to freezers and from washing machines to tumble dryers, we can provide the necessary parts to get you working again to limit the inconvenience that a breakdown of an appliance occurs. 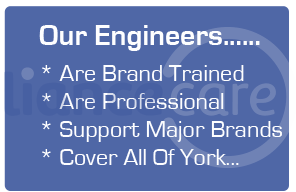 Not only that, but our skilled engineers can work with many types of brands, repairing or servicing. We treat every customer fairly, its really important to us to ensure that you are provided a service with no fuss and no hassle to you. We will always try and contact you prior to any visit to ensure maximum efficiency.